You are here: Home / Personal Finance / Why is PAN card important in India? Why is PAN card important in India? Introduced as mainly a way to identify an individual from taxation point of view, the PAN card is used for various other purposes as well. 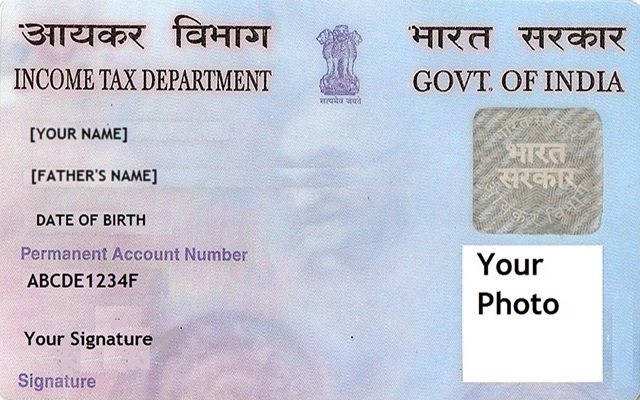 In this post let us have a look at situations where you will need a PAN card in India and why is PAN card important in India. Permanent Account Number is a 10 digit alphanumeric number issued by the Income Tax Authorities under the supervision of Central Board of Direct Taxes or CBDT. It is a unique number assigned to an individual and is mandatory from taxation point of view and every individual should have one. The primary motive and purpose of a PAN card is to track the financial transactions carried out by individuals so as to keep tabs on any illegal money laundering and also to avoid tax evasion. However apart from filling your taxes and giving details of your financial transactions, PAN is required for a number of other reasons as well. So when will you need a PAN card in India, let’s have a look. 1. Filling IT returns: The most obvious and primary purpose of getting a PAN card in the first place. 2. Legitimate ID proof: PAN card is accepted and used as a valid ID proof in all cases and at all Government and non-government avenues that require an ID proof such as for passport, ration card, voter ID card, gas and electricity connection etc. 3. At your Job: Your employer will need your PAN when you join any company for taxation purposes. Employers deduct taxes at source or TDS, professional tax etc. Moreover they need your PAN card to show their outgoings to you in form of salary when they file their tax returns. 4. Getting telephone connections: While cellular service providers do accept any alternate government issued ID proof, Government run operators like MTNL and BSNL may require PAN details. 5. Opening a Bank account: Banks will require your PAN when you approach them for opening a new account. This is because they have to keep tabs on all high cash transactions and report periodically to the RBI as per RBI norms. And in any case bank accounts involve money transactions, so PAN is mandatory while opening bank accounts. 6. Cash Deposits in Banks: If you deposit any cash of Rs. 50,000 and above, you will be asked to quote your PAN. Any cash transaction above this limit has to be reported to the RBI as a rule. This is an effort towards curbing money laundering and black money. 7. Foreign currency exchange for international Holidays: You will not get your foreign exchange for your foreign travels if you do not submit a copy of your PAN card, even if you have a valid visa and passport and travel tickets. To avail foreign exchange, PAN card is required. 8. Payments at Hotels: If you make cash payments of over Rs. 25,000 at hotels and restaurants, quoting your PAN is mandatory. 9. Bank FDs: When you take a bank FD of Rs. 50,000 or more, you will need your PAN card. Banks also require this because they deduct TDS on the interest you earn on the FDs. 10. Post Office Deposits over Rs. 50,000: Just like bank FDs, PAN is required in case you open Post Office deposits of Rs. 50,000 or over. 11. Trading in Shares: Share trading is also a place, where you will need PAN card. You will need to furnish your PAN details to your broker as well as Demat and Trading account provider. 12. Mutual Fund Investments: Similar to shares, while investing in mutual funds you will need to have a PAN card and quote the PAN for your mutual fund request to be accepted. 13. Property Transactions: A Property transaction is another time when PAN card is needed in India. During the sales deed and also at the time of registering the property, PAN of both the buyers and sellers are required, or else the transaction cannot be completed. 14. Loans and Credit Cards: Whenever you apply for loans be it Home loan, Personal loan, Credit cards or Credit Card Loans etc. PAN is mandatory. Without it your application will not progress. 15. Vehicle Purchase: You may be asked for a PAN card if you are buying an expensive car or automobile in some cases. As we saw above, there are a lot of areas where having a PAN has become a necessity. The scope and areas where PAN card is required in India have slowly-slowly expanded and hence PAN card is important in India to have and is mandatory in a lot of cases. Is there any norms, that if a person didn’t have a PAN card, then he/she will be unable to get their salary…? Or Company doesn’t have right to provide the salary to any one, if that person doesn’t have their PAN card…? And if the person have less than 2 lac salary per annum…. ? As such there is no rule. If a company has such a thing mentioned in their agreement terms than that can be argued upon. Yes, the bank might ask for it., especially if the withdrawal in in cash. Sir i dont have to withdraw all the the money at once .i just want the money to be credited into my account .for that also i need pan card. Most probably the Bank will ask about it. sir i have get my pan card but there is mistake in date of birth . and please also tell me in how much time would i get my new corrected pan card. Confirmation awaited from ITD means that the IT Department is yet to process the application for correction. However, for the purpose of submission for bank etc you can use the PAN Card as the name is correct and the PAN number will also be the same even after the date of birth is corrected in the PAN. So ideally there should be not problem with that. Sir, I have to do 10 lakhs NEFT transaction from SBI br… I have pancard, but receiver don’t have pancard. So in what conditions transaction can be done? If the receiver doesn’t have the PAN card it doesn’t matter. Also for an amount as high as Rs. 10 Lakh you will have to do RTGS as NEFT won’t be allowed. The procedure similar to NEFT. Sir, As I am a small time private employee and my salary is very less (at present it is 15000 pm), I have not tried to get a PAN. But, recently as my son got a counselling call from a reputed university for admission into MTech programme, now I am compelled to take an educational loan. And the process demands for PAN. I have applied for PAN on 26th June. I have to take my son for Counselling on 10th July and if necessary will have to make payments worth 2.5 lacs (borrowed from a relative for this purpose on the condition that I should repay it back after receiving the educational loan.) But I understood that I cannot make any transaction without PAN. I do not know when the PAN would be allotted and when the original card would arrive. What can I do? A less salary or a high salary, a PAN card is very important and better late then never. It is great that you have applied for the same. PAN card will generally take 45 days or so to arrive so in the meanwhile you can talk with the bank that you have applied for a PAN and if they can help you out with accepting the PAN Application receipt and update their records later. It is unlikely they will agree, but you can always talk to them. sir i will put fixed deposit 11 lakhs in bank .if they ask PAN num means if i gve means income tax dept wil enquire me ??? i cant have incm tax IT payer ..so if i gave PAN number means if any questns askd me from incme tax dept ?? Giving the PAN to the bank does not necessarily mean that IT will inquire. IT is a procedure that the banks have to follow. The other thing is income tax is not on the amount you invest, but it is on the amount you earn from it. So 11 lac FD is not on what you will have to pay tax; but the interest on that 11 lac FD is what will be calculated for IT purposes. If your total income from all sources is genuine then you don’t have to worry at all. So don’t worry, Income Tax will not ask any questions if you give your PAN number to the bank. Hi sir.. I created a fixed deposit of Rs. 50000 in SBI by an online transaction (e – fixed deposit) a few days back.. Being an online transaction, I ve not shown my pan card at the bank.. Do I ve to do anything now..? Since its an e-fixed deposit, I am sure you must have been asked to enter your PAN Number once while making that FD. You do not need to show the PAN Card, but just need to quote/tell the PAN number, which in online option, would be asked to filled in a form or something. So you do not require to ‘show’ it. If the bank wants, they can contact you for the same. On your part, you just need to quote your PAN that’s it. Thanks for the reply but no I was never asked to quote my pan number in that e fixed deposit..I read somewhere else that all fds rs.50000 n above must ve pan number Furnished failing which TDS of 20 percent ll be deducted.. that’s when it bothered me..
TDS will be deducted, but it done as per the taxation rules and not dependent on whether or not you quote your PAN Card. TDS was deducted even during times when PAN Card quoting was not mandatory. To avoid TDS on FD there are 15G/15H forms to be filled based on whether you are a senior citizen or not. You can call up the bank to clarify on why PAN was not asked. I have different dob in bank book and different dob in pan card.will there be any problem based on my dob for my future transactions..
n will d bank be checking my dob during transactions..
Banks do not cross check DoB. They will check PANCARD for Pan number. However, if you were to open a new account anywhere then the dob on the pancard will be considered. So if you have an existing account the difference in DOB will not matter so much. I would recommend having same DoB for everything in the future. While applying for the PAN card i had given the details like email and phone number that are not personal to me. Would it cause any discrepency in the future while undergoing any of the above mentioned uses of PAN? Would you suggest me to change the details? Yes of course there will discrepancies in the future. IT department needs to communicate with you via SMS and email that is registered with your PAN. This could be intimating your for refund, status of your income tax filing among others. Also KYC or know your customer will have issues which is now mandatory for banks and other financial transactions. I would suggest you go to the Income Tax website and change these details. You CA can help with that too. could you please provide the link through which I can make the changes. https://www.incometaxindia.gov.in/Pages/pan.aspx there should be a form for updating PAN Data. Download and send it to the address on the site. i live in France with french nationality and i have obtained the card “over seas citizen of India”. When i wanted to deposit more than 50000 rupees on fixed deposit in an in Indian Bank Bank the Bank official asked for my PAN card. Living abroad i don’t have Pan card. I think having the OCI card is enough for any Transactions in India Bank. To whom can i verify this ????? There is something called as NRI PAN Card that the bank must be referring too, that is specially for NRIs. But I am pretty sure there has to be a way around it, if a foreign national does not have a PAN Card that the bank must know of. NO it is NOT mandatory or compulsory for you to have a PAN Card to apply for Student VISA. All the best!!!! Pan Card Zerox required for deposit 50000 cheque in Saving Account or only we can wright down the PAN no reverse on the Cheque and photo is not clear on PAN Card so there is any problem for the bank to deposit 50000 cheque. You just need to quote your PAN number and only if required you may be asked for a copy of the PAN Card. The PAN number is enough and for banking transaction of 50 thousand or above it won’t matter much even if your photograph is not clear. Photo will matter only if PAN is required as ID proof. You simply go to httpss://tin.tin.nsdl.com/pan/ and make an application for change/correction in PAN data and take a printout and send it via speed post alongwith the documents to the address mentioned there. You will receive an acknowledgement in a couple of weeks and receive the corrected PAN if all is ok.
Firstly thanks for your interest in the site. 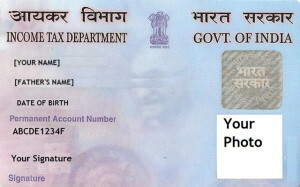 PAN Card is required for transactions above Rs. 50,000 as per RBI guidelines. This is done to keep a check on benaani paisa and money laundering and also to curb black money. If the details of the person depositing 50,000 or more in cash is with the RBI it will make sure that the money is accounted for and also RBI and IT departments know who is depositing that money, thus curbing black money. Thank you for your interest in the Site. You will need a PAN CARD to get a loan, but merely having a PAN card will not entitle you for a loan. You will need to submit your income proof and other documents along with a PAN Card to get a loan and only after that the bank will decide on the loan amount. Whose PAN No. Is to b quoted if the tenderer and account holder are different persons for cash deposit of 50,000/- and above? Thank you for your interest on the blog. The PAN card of the Account Holder is required by the banks. Thank you, is there any circular of RBI which accounts for this? If yes then I would be very grateful if you provide me the circular number. I wasn’t able to find any information from the links mentioned by you. Can you please provide a reference to the exact circular regarding the above query. I assume you are talking about the changes in the PAN data link. If so then there are links on that page which will take you to PDFs with details regarding the change procedure. Those are the steps you need to follow for making changes to your pan card. If it is something else you are looking for, then please let me know. I will be glad to help. I have lost my PAN Card, however I have applied for a duplicate PAN. In the interim I have also applied for a Loan in SBI. I have given my IT Returns document with an Acknowledgement copy of reissuance of PAN due to “lost”. In this case will the bank still insist for PAN Copy when I have already given my IT returns documents along with Acknowledgement copy of reissuance of PAN due to “lost”. SBI has not processed my Loan application due to no PAN photocopy. Thank you for your Interest in this site. You have done the right thing by applying for a duplicate PAN card. However, the banks are very particular with regards to sanctioning loans. While the acknowledgement copy of the PAN card should suffice as a proof that you indeed are a valid PAN card holder, the issue here could be that for loan processing they need every document and specifically a copy of PAN, that is the copy of the actual card, since any credit related matters are now informed to CIBIL and that could be the reason behind SBI not processing your loan application. While the acknowledgement should serve that same purpose, but for official records and as a PROOF under the KYC and RBI norms, PAN is essential even for simple things like opening a bank account these days. You can meet up with SBI’s relationship managers and see what best solution you can have. If not, then once you received the PAN in duplicate, submit the copy and if all the other documents are OK, then you should not have any issues with your loan application. Feel free to contact in case you have any further doubt.